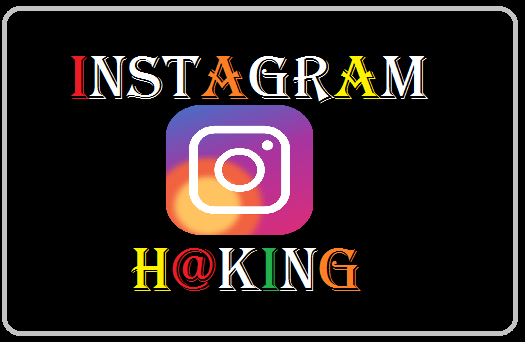 Home» Instagram Tricks » [Instagram Hack] Creating instagram phising page And how to hack instagram account? Hello guys , In this post I'm going to teach you full detailed guide on instagram hacking by using phishing attack method. Actually phishing is the way for stealing someone rare detail like password of any account. In this phishing attack method attackers simply create a clone website of any website like instagram,facebook,gmail,twitter etc. In my previous post i explain easy method how to hack facebook account ? As you know, Instagram is also a social networking site, which is very popular. While running an Instagram, some questions may arise in your mind whether an Instagram account can be hacked. So today I am going to answer your question. If you have to hack your friends instagram account then read this post to the last. In this you have to create an Instagram's Facebook login page, which is called phising page. If someone puts his id and password into that phasing page, you will have it. So let's know friends how to create an Instagram Fack page? Important Note: This post is only for educational purpose.I did't harm anyone, please don't use this method any kind of illegal or malicious activities because hacking is crime if you do this then it's can land you in jail.I'm not support any kind of illegal or malicious hacking. Step1; First of all , download the file index.htm , download link is given below. Step2; After that download the hack.php file, download link is given below. Step4; Now you need to upload these two files in a free web hosting site and So you must first create an account at 000webhost.com, then you will be allowed to upload your phishing page. Click on the link given below and you can singup. Step5; Now enter your detail like user name,email id and password and website name and then hit on Get free hosting button. Step6; Just now do you have to check your email account in which an email will come from 000webhost.com to confirm the account. Click on it to have a confirmation link, now your account will be confirmed. Step7; After confirming your account simply login to your 000webhost.com account with your email id and password which you enter during creating the account. Step8; when you open your account you see “Jump to website” and click on ( + ) sign button, and you will see that two options are coming in front of you, you can click on the “Manage website”. Step10; Now you will automatically redirect to file manager,here you will see a folder or directory called public_html ,right click on it and then click on open. Step12; After uploading the phishing files sucessfully you will see the index.htm and hack.php files in the file manager under the public_html directory. Step13; Now you will see index.htm and post.php in the public html folder. Simply right click on index.htm file and click on view. Step14; Now after clicking on view you will see the fake instagram login page.Simply see the url of that page which is given in the the web browser address bar. This url is your phishing link which you need to send to your victim whose account you want to hack. Step15; Now you almost done simply send this link to your friends , and When your friend open that link he see fake instagram page which look like real and enter the username,password and click on log in, his password send to your 000webhost account. Step16; Now you have to come to an account with your 000webhost.com, where you uploaded the phishing page. So you will see that an extra file will be opened by the name of username.txt. You will see that your username and password have been saved in it.